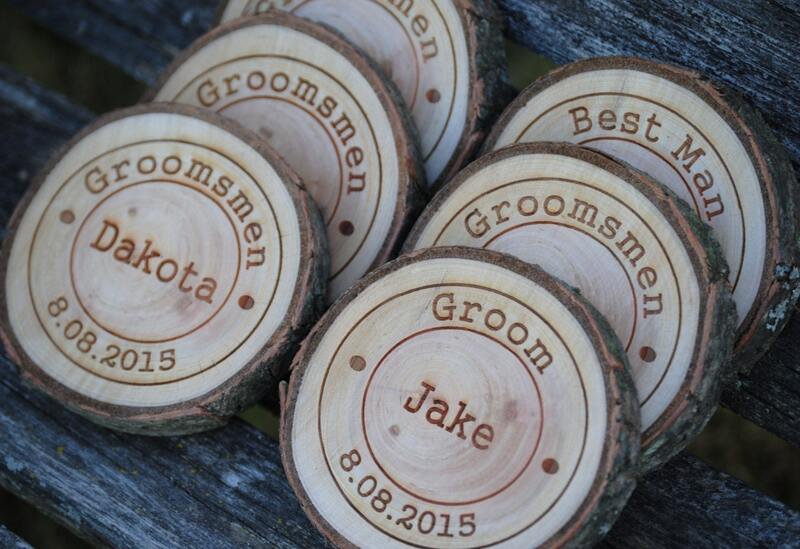 These coasters are the perfect little gift to give your groomsmen, your wedding guest, or any other occasion. 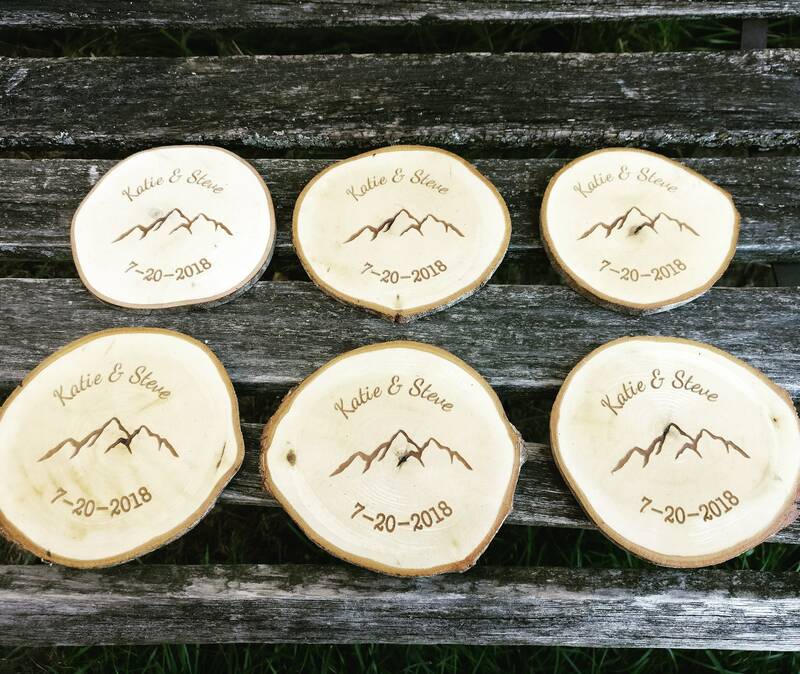 They are made from slices of wood, with the bark still on. 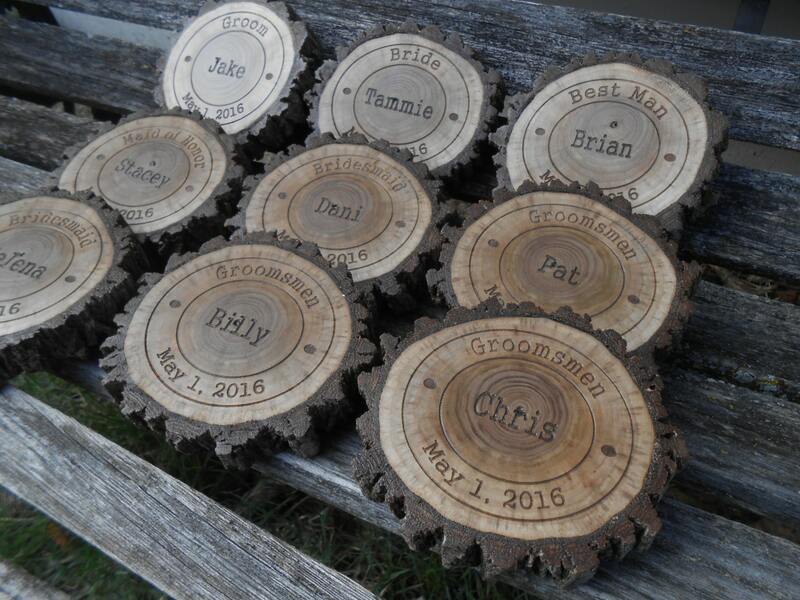 You get to choose what you would like to have engraved on them. 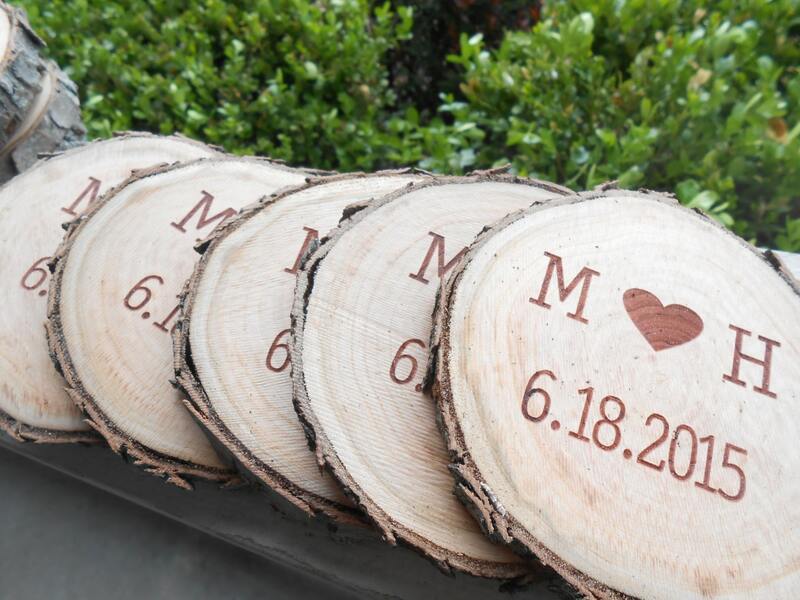 They are also great for Christmas, Valentine, Anniversaries, Mother's Day, Father's Day, and birthday gifts! -Select the number of coaster you need from "number of coasters" drop-down menu. -If you want a different font, please leave that as well. 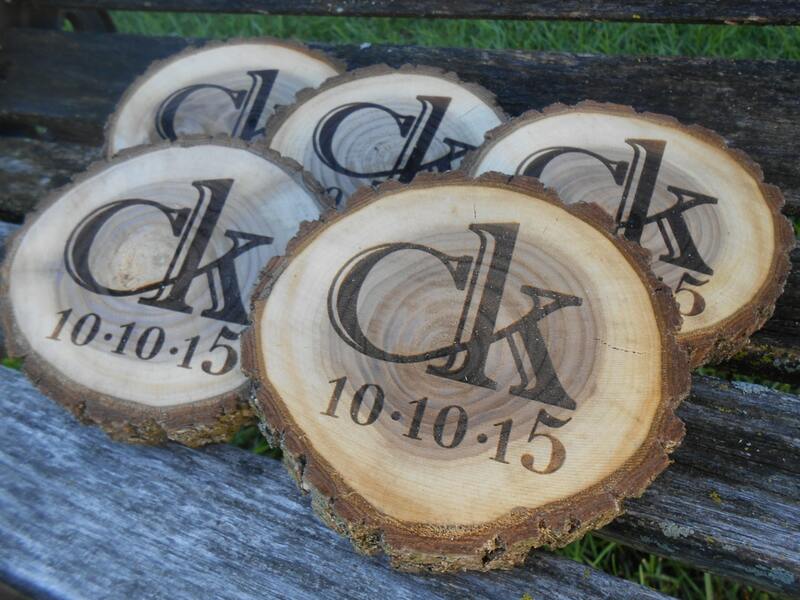 -All coasters will be coated with a sealant. It helps protect them from damage! 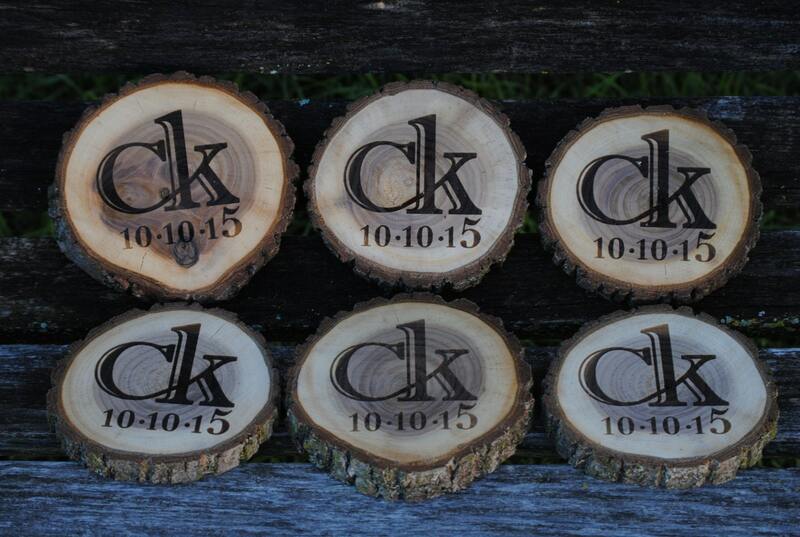 The coasters will be somewhere between 3.5 and 4.5 inches, depending on what wood we have available. NOTE: The bark on these may vary. We use downed branches and sometimes is bumpy bark and sometimes it is smooth. It just depends on what !we have dried out. ***PLEASE ALLOW 3-4 WEEKS TO PROCESS. If you are in a hurry, please contact us before purchasing and we can try and accommodate your time frame.